Between gifts cards, credit cards, and old health insurance cards, I’ve got a far bit of plastic in my drawer. It finally dawned on me to just look it up online, and lo and behold, someone is recycling them. Earthworks System, LLC takes the cards, grinds them up, and then creates new PVC sheets (that’s what they’re made of) so new cards can be made. 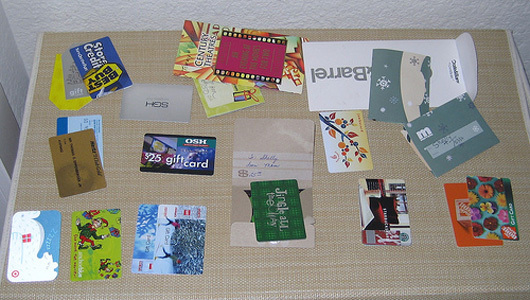 Based on “Can I recycle plastic gift cards?” at Mother Nature Network.